In today's competitive world there is a lot of pressure on students. At one side they have to excel in academics on the other hand they have to mange there personal lives too. It is seen that student get so much engrossed in there academics that they could not manage there personal life. Either they give up there Physical Health or Mental Health resulting to severe consequences. And in extreme cases it becomes fatal and nothing is left except the regret. Generally people only focus on the extreme cases like suicides, and lot of cases where student keep suffering goes unnoticed. Cases in which student loses his / her self-confidence, interest in studies, career or life. They become incapable to that extent that they are just good to follow the instructions and there decision making skill gets destroyed. Which is equally worrisome. 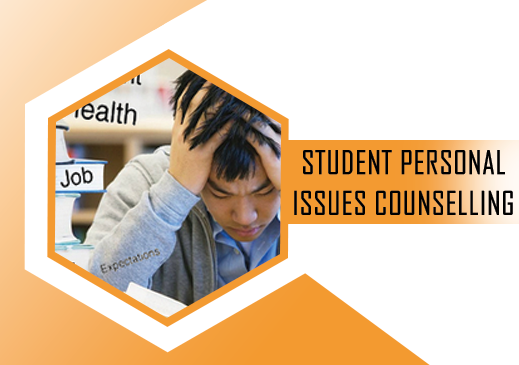 1) Regular counselling ensures that student gets the solution for new and old problems. 2) Frustration will not pile up as by sharing personal issues regularly. 3) Could focus better on career, with uncluttered personal life. 4) They will have a better open personality instead of closed one. 5) Counselling will help them mature and train to handle issues in a matured way. So to conclude, let's accept every human being has lot of issues and specially in young age. If right guidance & support is given a bright career can be seeded and nurtured. Or on the flip side it can be catastrophic if right action is not taken at right time.